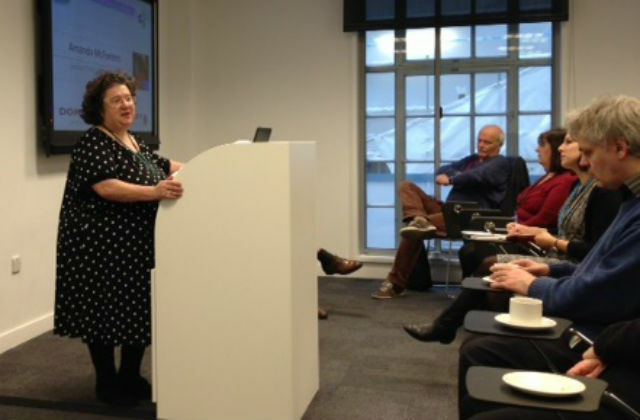 The REM Network, together with the Civil Service Race Forum marked Holocaust Memorial Day 2016, by hosting a cross Whitehall event commemorating the victims of Holocaust on 27 January 2016. This year’s theme ‘Don’t Stand By’, acts as a call for action for us all to consider our individual actions and responsibilities. It is a call for action to not act as bystanders to hate crime and prejudice. And, it is a call to action to ensure that the Holocaust, Nazi Persecution and subsequent genocides are not forgotten, trivialised or denied. 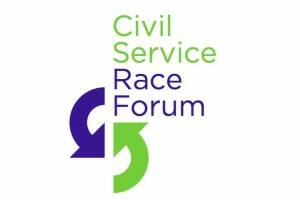 Iris Anderson, Co-Chair of the Civil Service Race Forum opened the event and set the scene with images of the shoes, suitcases and personal belongings of those killed in the atrocities at Auschwitz. Amanda McFeeters, an SCS in DECC, spoke earnestly about how the Holocaust is an important lesson from a dark part of history which is still very relevant for today. 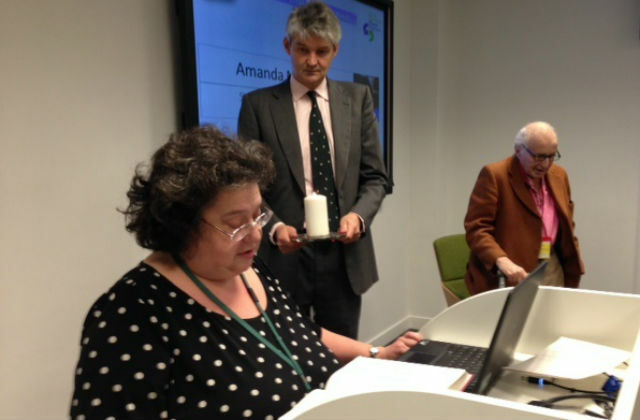 Amanda shared her family history, and her personal reflections culminating in the lighting of a candle with the words “We must not forget, we must not let this happen again”. Stephen Lovegrove, DECC Permanent Secretary, highlighted not only the persecution and murder of Jews, but also the LGBT, disabled, Roma and other minority groups. Stephen reminded us that when thinking about the Holocaust it is not just the victims we must remember, but also the systemic failing of public responsibility, moral judgement and the consequences this brought about. The guest speaker, Walter Wolfgang, an 92 year old who fled Germany as a teenager and came to the UK, spoke eloquently about the gradual unfolding of events from the boycotting of Jewish shops to the discrimination to the eventual murder of millions of Jews. He reminded us of the parallels that can be drawn with some of the events since the war, the Rwandan genocide and the current Syrian refugee crisis. A message that came through repeatedly during the thought-provoking event was the universal ability of millions to suspend moral judgment – to be complicit in the perpetration of mass murder as well as to stand by and do nothing. Whilst we question how historically humanity could have possibly allowed such a massacre to happen, it’s a part of our history that we will never forget. Anti – Semitism, prejudices, hate crime have not gone away – we cannot fix the problems of the world, however we can make small changes and pledge to combat prejudice and encourage mutual respect. We absolutely should not forget, because when you forget, history will repeat. So I find it rather sad that this article manages to "forget and trivialise" by lumping together Cambodia, Rwanda, Bosnia, and Dafur as "subsequent genocides". Would it have taken so much to give them the recognition of at least a name-check? Rwanda gets a brief name-check way down the article, but the vast focus of this piece is about one well-known atrocity that even gets the whole title of the piece - "Commemorating the victims of THE Holocaust." At our event in Southend, many people were amazed to hear that there was more to HMD than the Holocaust. Many had never heard of the genocides in Cambodia, Rwanda, Bosnia, and Darfur - and yes, they ARE all worth another name-check here. When we forget, when we dehumanise others, we allow these terrible things to happen again, and again, and again. The article is correct - we must not forget. I find it sad that the article itself seemed to do just that. I am so grateful to all those who came to view the ULR team's HMD exhibition in Alexander House ; take a booklet; and/or viewed the short but powerful film Susan Pollack: an Holocaust survivor's story. We must never stand by and do nothing. I thought i would share an off the cuff article i wrote just before Holocaust Day. Wednesday 27th January 2016 marks Holocaust Memorial Day. This is a day which is set aside to reflect on the darker moments of human history when we remember the millions who died in various genocides due to war and hatred. Most well-known is the Holocaust (Shoah) which took place in Nazi Germany and occupied territories that took place between 1942 to 1945, although the horror began much earlier than that when Heinrich Himmler ordered the first camp built in 1933 called Dachau. Initially this was a place for Protective Custody where political prisoners were held. Mostly communists and other opposition groups, for example trade unionists, social democrats who flourished in the Weimar Republic and so on. However the killings did commence, sporadic at first, and years later it became a full concentration camp where most were sent to their deaths. As the 1930s progressed and Hitler became Chancellor of Germany, known as the Furher, the persecution of Jews, disabled people for example progressed. Jews were made to wear the Star of David, and disabled people were gassed in portable gas chambers. In 1938 Kristallnacht Night (Night of Broken Glass) took place in which Jewish businesses and Synagogues were targeted, being subjected to their shop windows being smashed and in many cases arson when synagogues were burnt down. Many were arrested and never seen again. However the so called Final Solution came in 1941 with the Wannsee Conference, when arrangements were finalised for the extermination of not just all the European Jews, but also the disabled, homosexuals and those of the Romany race (gypsies). The result was a genocide that resulted in the deaths of millions. The ramifications of which are still felt today, as survivors, and families touched by the Holocaust still deal with the consequences now in the 21st Century. The Holocaust is a genocide that first came to light in the post war Nuremberg trials, however it is only recently in the last 18 months that a documentary/film footage banned from being shown due to the grim footage it contained was shown. However, as terrible as The Holocaust/Shoah was, it was unfortunately not the only genocide the world has seen in the last seventy years or so. One only has to look at the recent Balkans Wars of the 1990s. Many thousands died not just because of the fighting, but through massacres that were committed by all parties in the conflict. Kosovo comes to mind as does Srebrenica and Sarajevo. Those responsible have been caught and are either serving their time in prison or have now been released. There is hope for the future however in the Balkans, Some of those responsible who have served their time, have reformed and are now working for various Aid Agencies to work for a better future in the Balkans and further abroad. Rwanda is another case in which genocide took place, again in the very early 1990s, when many thousands were killed when civil war broke out and during the war, massacres took place. And earlier in the 1970s the genocide in Cambodia killed at least two to three million people under the regime of Pol Pot. On Holocaust Memorial Day 2th January, many across the world will be reflecting on the darker moments of human history, such as the examples given above. But in doing so, we should remember that even now in Syria genocide is taking place with evidence now coming out about the deliberate starvation of civilians still trapped in various Syrian cities. Organisations such as the International Red Cross and UNICEF are now trying to bring relief to the cities affected but the relief efforts are still in its early days and progress is slow. We must all work together to prevent such genocides from taking place. After all, evil flourishes when good people do nothing. We must also learn from the past. Sadly Humanity has yet to learn that. The greatest honour we can bestow on all victims of the Holocaust and genocide is to learn from the past and ensure that we leave our children a more peaceful, stable and tolerant world for them to grow up in. After all we are just the caretakers of this ball of rock that is our home. Planet Earth. Well put Charlotte. Being a WW2 anorak, I would have gone off on so many tangents, you'd still be reading this next year!